A polvorón (From polvo, the Spanish word for powder, or dust; Cebuano: polboron; Tagalog: pulburón) is a type of heavy, soft and very crumbly Spanish shortbread made of flour, sugar, milk, and nuts, especially almonds. 1. Combine the flour, baking powder and salt. 2. Beat the butter and sweetener until they feel light. Stir in the eggs gradually and then the vanilla extract. 3. Wrap the above mixture with the flour. 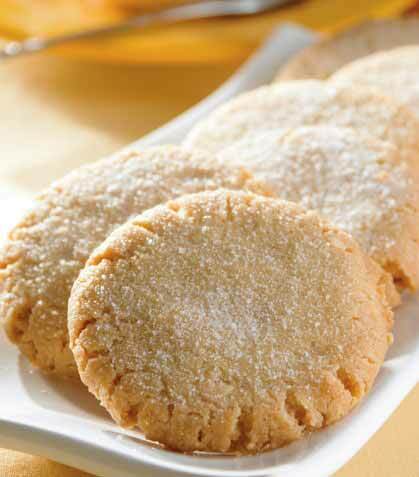 Form the cookies, place them on a tray and sprinkle with the sweetener you reserved. 4. Bake at 350 for 7 minutes or remove from the oven when cooked.